Before New York was called New York, it was New Amsterdam. 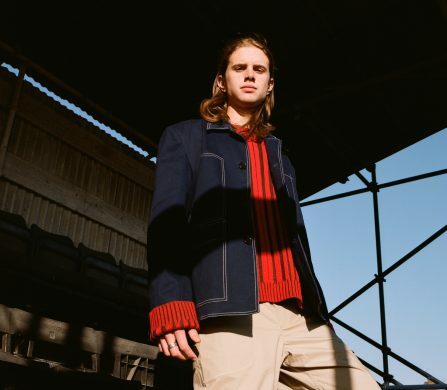 Testament to the seismic effect the Dutch had when they first arrived stateside – fast-forward nearly four-hundred years – and this influence still reigns supreme, this time in fashion. 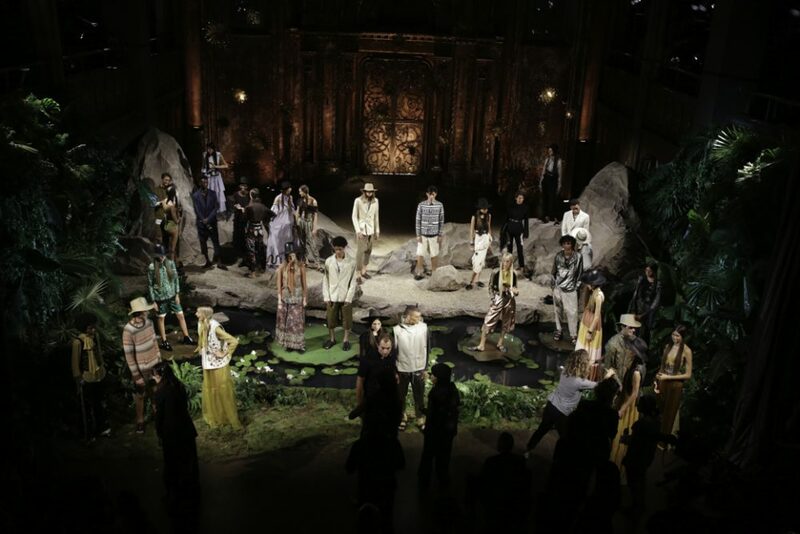 Scotch & Soda’s SS17 presentation was the vessel for which the brand, and its birthplace, demonstrated they still had plenty of power. The setting was suitably ornate for such an occasion, a beautiful former synagogue played host for the collection aptly named The World According to Heavenly Creatures. The title alone conjured up notions of the ethereal, the diverse and eclectic. The collection itself more than delivered on its heavenly namesake with colourful, layered and natural abandon. The Amsterdam-based label have long created stories which accompany their collections, this newest story takes inspiration from the lushest of landscapes to the most barren natural habitats, truly in-line with the Scotch & Soda ethos of “scouring the globe for that painting, poem, vintage piece, ruin, or artefact that fuels a never-ending curiosity”. This theme was orchestrated in three such natural habitats across the SS17 presentation, with each habitat influencing the colour scheme of each different part of the collection. The use of colour and texture made this collection a true tour de force at NYFW, on an ecological scale. Rainforest-muted palettes layered with opulent metallic rolled into desert heat-washed, dusty monochromes and earthier tones with the collection ending on a hues of venomous fluorescence, almost. 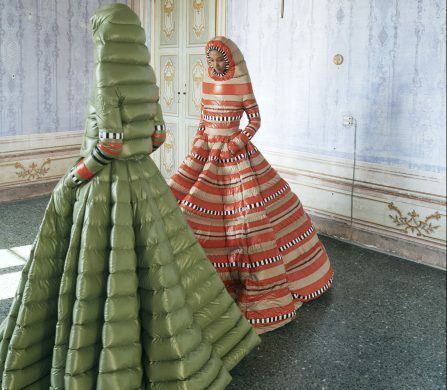 Each segment of the collection transporting the crowd to the furthest reaches of the globe in three fail, fashion swoops. Scotch & Soda SS17 is a flora and fauna inspired print and pattern extravaganza. Delicate flounces of translucent organza, silk and lace were belted and toughened with leather and gun-grey metal accessories, and layered with open-back ‘bibs’ in animal and stonewashed prints. The most striking element of the collection was that even though it was extremely avant-garde in its styling, it was still distinctly wearable, even the metallic men’s cropped trouser. 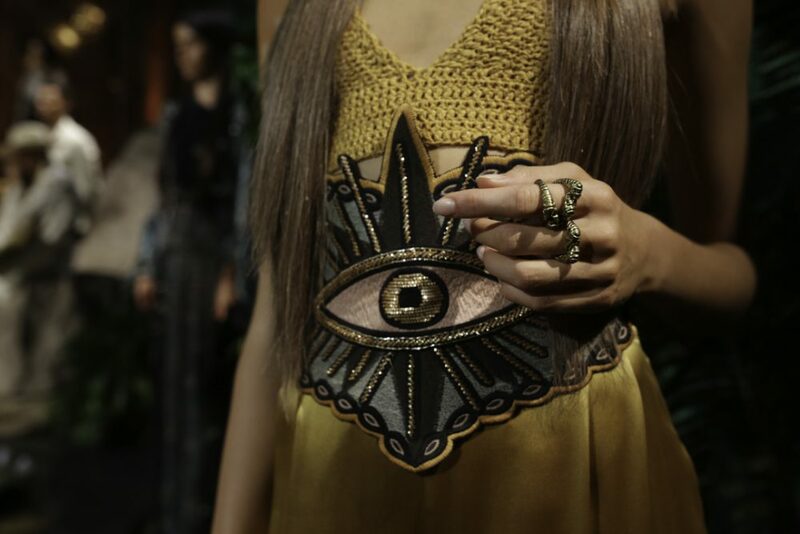 The fun creature eye-motif appliqué addition to some of pieces was also a nice way to really hit home the theme of this year’s presentation, Van Engelen alludes the motifs as “a wink to the way we see the whole collection – through heavenly creatures’ eyes”. Scotch & Soda is inspired by the world and curated by Amsterdam – and could be not be more accurate when applied this collection in particular. The brand created something extremely special and credit is due for all involved; collaborating with stylist Patti Wilson, make-up artist Mark Carasquillo, hair stylist Didier Malige, casting director Maida Boina and production house Villa Eugénie,Scotch & Soda SS17 was a multi-national ensemble. 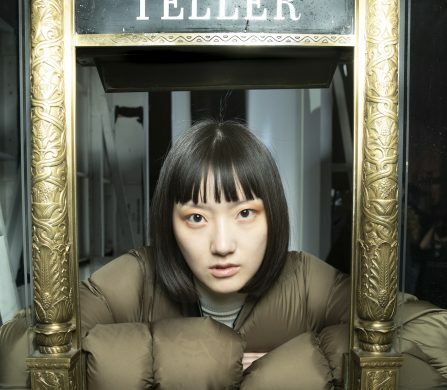 The presentation coincides with the brand’s release of its first-ever global brand campaign, From Amsterdam, From Everywhere which featured Amsterdam-born Imaan Hamman and Naleye Junior. Keeping it in the family never looked so good. Discover more from Scotch & Soda here.